Americans drink 97 billion bottles of bottled water each year. And, this number is still increasing rapidly year after year. Bottled water is deemed by many as a safer, tastier, and higher quality alternative to tap water. As a matter of fact, tap water is actually just as safe as bottled water in most developed countries like Canada and the United States. Quality and tastiness of tap water is on par with bottled water as well. In the infographic below, I compare the differences between tap water and bottled water. You’ll also learn why you should stop wasting money on bottled water. Enjoy! Feel free to share and/or publish this infographic, as long as there is a link back to this post (for credit). 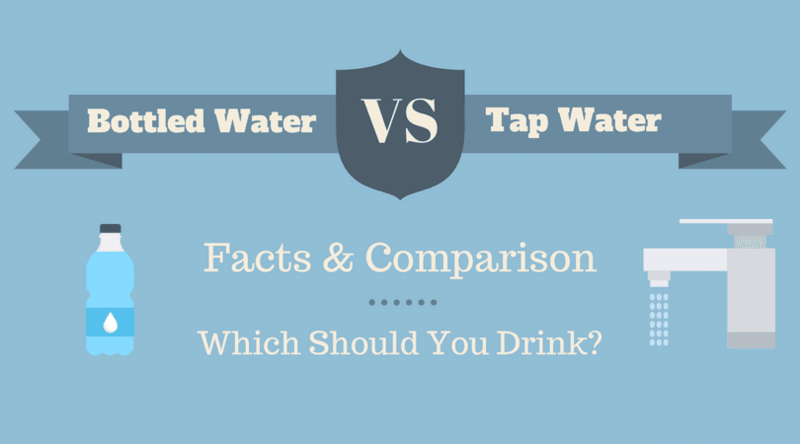 Below, you can find a written comparison between tap water and bottled water. The written version includes extra facts and stats that aren’t found on the infographic. Bottled water sales worldwide have increased rapidly during the past few years. Total bottled water sales in the U.S. grew from 11.8 billion gallons in 2015 to 12.8 billion gallons in 2016. That’s an increase of nearly 9% in one year! Worldwide in 2012, people bought more than 76 billion gallons of bottled water, which is equal to 576 billion individual bottles of water. However, the majority of the times, bottled water is no better in health benefits, safety, or taste than bottled water. Worse yet, bottled water is more expensive and less eco-friendly than tap water! Bottom line? You may have fallen for the marketing scam. Is tap water dangerous to drink? You’d assume that bottled water would be safer and higher quality than tap water, simply because it’s more expensive. But that’s just not the case. Bottled water in the U.S. is classified as a food product and regulated by the Food and Drugs Administration (FDA). Tap water, on the other hand, is regulated by the Environmental Protection Agency (EPA). EPA regulations for tap water are overall much more strict than regulations regarding bottled water. For example, the EPA sets specific limits for potentially-harmful contaminants that can be in tap water. Every year, a local water quality report must also be sent to residents. This report discloses details of the quality of tap water, and any potential health and safety risks. On the other hand, the FDA does not require bottled water companies to disclose the source of the water, treatment processes, or contaminant tests. There aren’t as many regulations for specific contaminants, and inspection of bottled water plants only happen once every few years. There are even brands of bottled water that just sell purified (filtered) tap water. I’m talking about Aquafina and Dasani here. Your tap water should be safe as long as it comes from the city or goes through a water treatment process. Click to learn more about checking if your water is safe. Bottled water also has a pretty good track record of being safe. The plastic bottles will usually also be fine as long as they aren’t stored in extreme heat or kept past the expiry date. Regulations for tap and bottled water in Canada are similar to those in the USA. There are very strict regulations for the safety of public water. Canadian tap water is regulated by Health Canada, whereas bottled water is classified as a food and falls under the Food And Drugs Act. Tap water is constantly being tested to meet guidelines that state how much of any potentially harmful substance is allowed in the water. These quality tests are available to the public on city websites. However, bottled water doesn’t fall under the same safety restrictions as tap water. Quality and safety testing is essentially done voluntarily by bottled water companies. 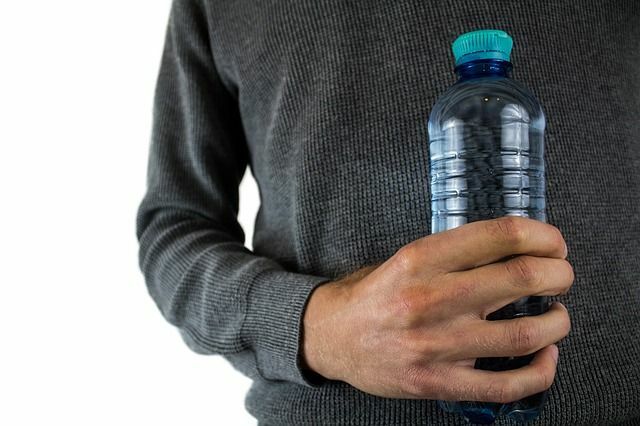 Furthermore, there aren’t any specific limits on water contaminants for bottled water (Other than arsenic, lead and coliform bacteria) – just that it may not contain “poisonous or harmful substances” and must be prepared in sanitary conditions (source). Overall, unless there are water safety warnings from your municipality, the chances are that your tap water is as safe, or even safer than bottled water. I recommend you check out your tap water quality reports to check for any potential health concerns (You can do this for any country). Do a search in Google for “tap water quality report” (or “tap water safety report”) plus your city or country name. Then, check for any safety concerns regarding your tap water. If you live in the United States, you can also check for the safety of your tap water by searching the EWG tap water database. Just enter your postal code, and you’ll see all the information you need. Did you find potential safety concerns with your tap water? If you did, then you should filter your tap water before drinking. This is especially important if you are pregnant, elderly, have children, or have a weakened immune system. A good water filtration system can turn even the most dangerous water into safe drinking water. Some people stray far from tap water because they hate its taste. But, when given samples of both tap and bottled water in taste tests, tap water is the clear winner. The bottom line? 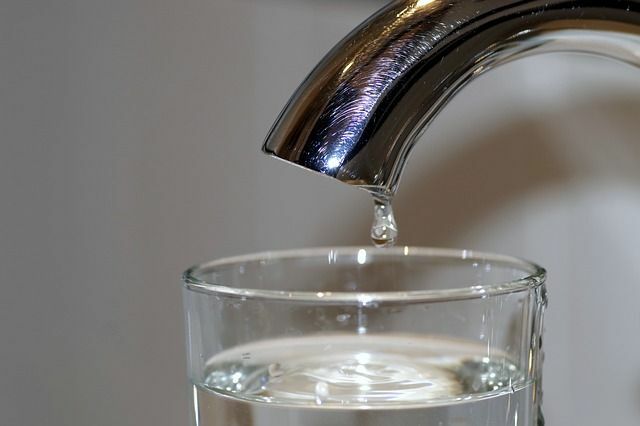 Tap water doesn’t taste as bad as you may think. Three instances of taste tests and their results can be found below. On ABC’s Good Morning America show, the studio audience was asked to participate in a blind water taste test. Four different samples of water were given to taste testers. 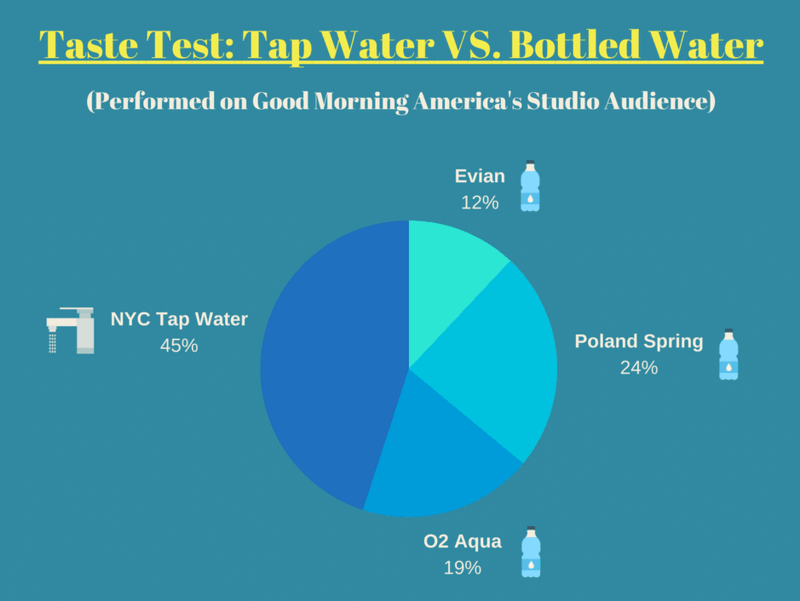 Samples tested were New York City tap water, and the bottled water brands Poland Spring, O2 Oxygenated Water, and Evian. According to the voters, the best tasting water sample was tap water! Penn and Teller took water from a garden hose and served it to patrons at a fancy restaurant. But, instead of using normal cups, the tap water was sold as fancy bottled water brands. Watch the video to find out what restaurant-goers had to say about this “premium hose water“. A taste test conducted at Boston University found that most people couldn’t tell the difference between tap and bottled water. Only one-third of 67 students could correctly identify tap water and bottled water samples. Another one-third of testers thought the tap water sample was bottled water. The rest of the students couldn’t tell the difference. Conclusion: Truth of Bottled and Tap Water Taste? So, is the myth of, “bottled water tastes better than tap water” true? Despite what bottled water companies may tell you, multiple taste tests have found that tap water and bottled water taste extremely similar. There are even some people who think tap water tastes better than bottled water! Why not try it for yourself? Get a friend or family member to give you a blind water taste test, and see what you think. Bonus: Tap Water Taste Tip If you don’t like the taste of your tap water because you feel there is a taste of chlorine, simply chill your water in the fridge, or use a water filter (more on this at the end of the article). It’s no question that disposable plastic bottles are bad for the environment. Most bottled water products are sold in small, single-use plastic bottles. That results in a lot of potential trash and plastic pollution. Tap water has a very minimal environmental impact compared to bottled water. For this reason, I won’t be comparing the environmental impact of bottled water with tap water. Instead, I’ve compiled a list of four ways plastic bottles negatively impact the Earth. I also included details and explanations, which you can see below. It can take up to 1000 years for a plastic bottle to decompose. However, this doesn’t mean that a plastic bottle will be off the Earth after all that time. When objects biodegrade, they are able to be recycled into organic matter and new life. However, decomposing and degrading is just breaking apart into smaller pieces. Plastic bottles will degrade into smaller pieces of plastic known as microplastics. But no matter how small the plastic pieces become, they will always still stay on Earth. These microplastics are toxic to the environment and can end up in the systems of fish and wildlife. 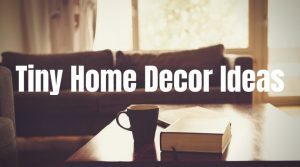 You can watch the video below to learn more. Energy is needed during the entire life cycle of a plastic bottle. 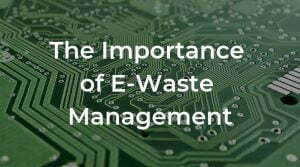 This includes the production process, as well as the transportation, storage, and disposal processes. In the USA, it is estimated that 76 million barrels of oil are needed to manufacture, transport, store, and dispose of the bottled water used in a single year. To put that into perspective, that’s enough oil to fuel 4.3 million cars for one year. Worldwide, the energy embedded in our use of bottled water each year is equivalent to 450 million barrels of oil (2012). That’s enough to fuel 25.5 million cars for one year! Overall, bottled water takes up to 2000 times more energy than tap water to produce. Plastic bottles hardy ever get recycled in the U.S. This leads to a lot of toxic waste and pollution. Did you know that the U.S. rate of recycling for PET bottles is only about 30%? This means that 68 billion plastic bottles are thrown out, not recycled, in the U.S. each year. In total, about 6.2 billion pounds of PET bottles were sold in the U.S. in 2016. But, only about 1.8 billion pounds were recycled. However, do note that not all PET bottles are from bottled water. To make matters worse, not all plastic is even thrown in the trash. Unfortunately, it is very common to see plastic bottles littering our rivers, lakes, and oceans. In fact, plastic beverage bottles are the second most found ocean trash, and plastic bottle caps are a close fifth (source). Obviously, this is no good for our oceans and marine ecosystems. You already learned in the first point that over time, plastic bottles break into smaller pieces of plastic known as microplastics. These small pieces of plastic bottles (including bottle caps) are what’s really hazardous for marine ecosystems. The bright colours of plastic and the shape of microplastic mean that it is easily mistaken for food by marine animals like birds and fish. When swallowed, plastic can clog up an animal’s digestive system. Sometimes, plastic may even choke animals to death. Each year in the North Pacific alone, an estimated 12,000 to 24,000 tons of plastic end up in fish. 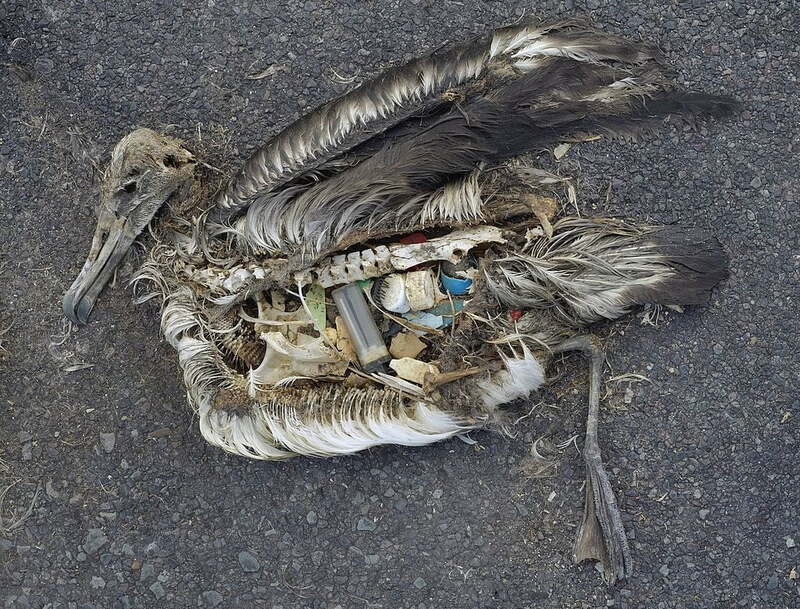 In addition, 100,000 marine mammals and over 1 million seabirds die from ingesting plastic yearly. The occurrence of plastics and microplastics in fish isn’t just a problem for fish; It’s also a problem for any animal or person eating that fish. Seafood with toxic chemicals and plastic in its system could be caught and eaten by humans (or other animals). And, since microplastics can be very small and hard to see, there is a very real chance that we could end up ingesting toxic plastics. If we continue to trash our oceans, the plastics we use and toss could come back and bite us in the back. A standard 500 ml (16.9 oz) bottle of water costs around $2. This price decreases to about $0.08 when bought in bulk. You may think that 8 cents for a bottle of water is cheap. But it isn’t, especially when compared to tap water. The price of tap water is usually less than a single cent. That’s at least eight times cheaper than bottled water, and can potentially be up to 2000 times cheaper than bottled water! How Much Money Could You Save By Drinking Tap Water? Let’s say you drank the recommended 8 glasses of water per day. That equals about two litres per day. You would spend a couple of dollars per year on water if you only drank tap water. However, if you only drank bottled water, it could cost up to thousands of dollars a year! You could save a lot of money just by switching to tap water from bottled water. The best part? Tap water is safer, tastier, and more eco-friendly anyway! Or maybe you don’t like the taste of your tap water. In the above cases, I find that your best bet is to drink filtered tap water, which will be more environmentally friendly and less expensive than bottled water. Water filters can help improve the taste of your water and reduce microorganisms. Some filters can even remove heavy metals like lead, and other contaminants. Just to be safe, you may want to filter your water if you are pregnant, elderly, have young children, or have a weakened immune system. But, how do you know which filter to choose? Below, I’ve compiled a small list of filter types and features, and explain how to choose the best filter for your household. Any filter you buy should be certified by NSF International (or another third-party) to remove the contaminants it claims to remove. Keep in mind that with any water filter, make sure you follow the manufacturer’s guidelines and replace the internal filtration system when required. Granulated activated carbon pitcher filters remove chlorine and odour to improve the taste of tap water. 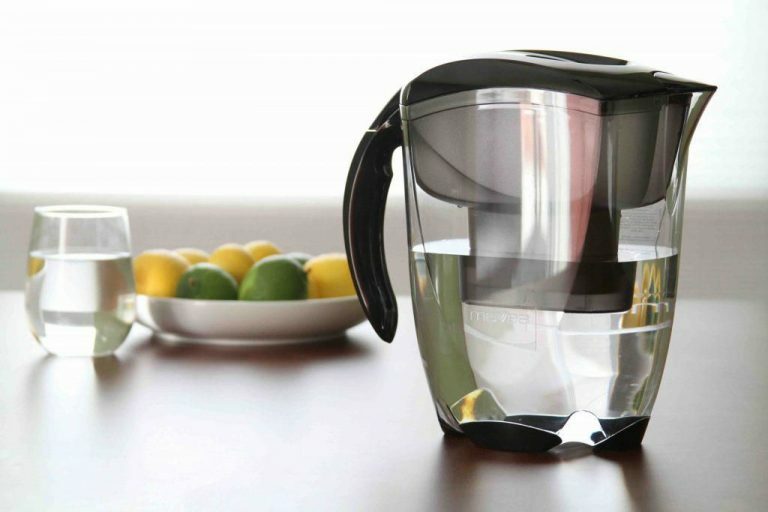 A very popular pitcher filter is a Brita pitcher filter. I’ve personally used one before, and I do believe it removes chlorine and changes the taste of the water. The filtered water tastes similar to the Aquafina bottled water brand, in my opinion. However, I personally don’t recommend using pitcher filters. Why? The internal filter cartridges for most pitcher filters don’t last very long, and it takes a while for water to get filtered. For what they do, pitcher filters get very expensive in the long run. You can read on below to find other filters that are much better and have better value than pitcher filters. Faucet-mounted water filters attach directly to the output of your faucet. These are usually cheaper than pitcher filters in the long term, and function similarly. Faucet-mount filters usually remove chlorine and odour to improve taste, and remove some heavy metals. Higher-quality ones will also remove other contaminants. This PUR filter is one of the bestselling faucet-mounted filters. It easily screws onto standard faucets, and each filter cartridge lasts 100 gallons, or around 3 months. The advantage of this filter is that there is a switch that allows you to change between filtered and unfiltered tap water. There’s also a light indicating when the internal filter needs to be replaced. This particular filter removes chlorine to improve taste, and removes 99.9% of lead and 96% mercury. This filter is great if your house is serviced by old water pipes made of lead. If you want to learn more about the contaminants that this filter removes, or if you want to buy the filter, you can check out the product on Amazon.com. Also, when buying replacement filters, make sure to buy the PUR MineralClear replacement filter if you want lead removal. High quality solid block carbon filters can turn any type of water into clean and safe drinking water. They remove contaminants like chlorine, microorganisms, chemicals like pesticides, and heavy metals like lead. Yet, they don’t remove naturally occurring minerals in water, which allow the water to taste better. Although these types of filters are a lot more expensive at first, they are usually the best option in the long run. A common type of this filter is the Berkey filter system, which can turn almost any water into safe drinking water. This is a countertop filter powered by gravity. If someone asks me which water filter to buy, this would be my recommendation. In fact, in terms of cost per gallon, the Berkey filtration system is cheaper than all the other filters on this list. Better yet, the Berkey does a much better job of filtering. Let me explain: This Berkey filter has an upfront cost of around $300. It comes with 2 purification elements which will last around 6000 gallons in total. For average families, the original purification elements could last many years! You can use this link to check the current price on Amazon.com. If you’re interested, there’s also a huge list of contaminants that this filter can remove, available on the Amazon page. Did you know that this Berkey filter can even reduce radioactive substances like uranium to a safe level for drinking? Pretty cool! Also, just a disclaimer: I didn’t personally try out this filter, because I already have clean tap water. However, from what I know and from online reviews, I believe this is one of the best filters on the market right now. Conclusion: Should you Drink Tap or Bottled? As I’ve already shown in this article, almost everything about tap water is better than bottled water. For example, tap water costs substantially less than bottled water and is much more eco-friendly. What’s more, tap water is subject to more safety and quality regulations than bottled water! If you’re still worried about the safety or bad taste of your tap water, then your best solution is to use a tap water filter. So, do the right thing for the environment and your wallet. Stop buying bottled water, and start drinking either regular tap water or filtered tap water. Both options will be cheaper and more environmentally friendly. And, if you still like the convenience of bottled water, just get a reusable water bottle! It’s clear that bottled water is not the solution. Tap water is better than you may think. So drink it, and stop paying for the marketing scam of plastic-packaged water. If you found this infographic and comparison helpful, consider sharing it with your friends using the sharing buttons below. You can also subscribe to my newsletter to get updated when I publish new articles about sustainability and Earth-related issues.